You’re never far from a spot that makes you want to linger. 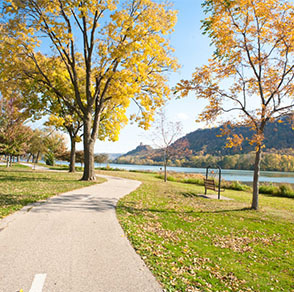 Winona’s city park surrounding Lake Winona is a recreation hot spot with playgrounds, a paved hiking/biking trail, canoe and kayak rentals, fishing docks, and more. 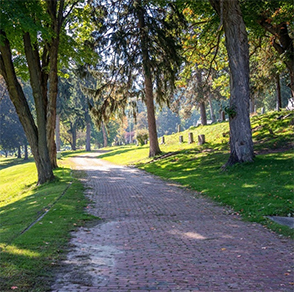 At the riverfront in historic downtown, you can meander shady paths and imagine watching steamboats chug upriver like they did over a century ago. 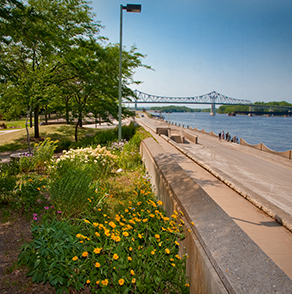 Fishing, picnicking, bird watching, and hiking on the banks of the Mississippi River are all perfect pastimes for Prairie Island Park and Spillway. Windom Park is adorned by gardens, a gazebo, and a historic sculptural fountain. 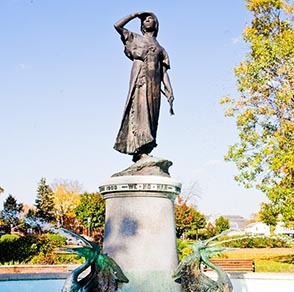 Winona’s namesake, Princess Wenonah, stands watch in the park’s center. 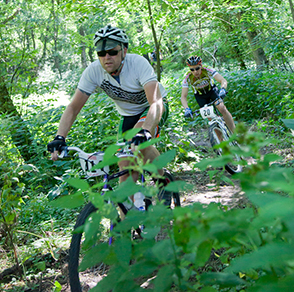 Holzinger trail snakes up the bluff side and offers unparalleled hiking, mountain biking, and skiing, not to mention spectacular scenery. Take a stroll through Winona’s past by learning more about the people who came before. 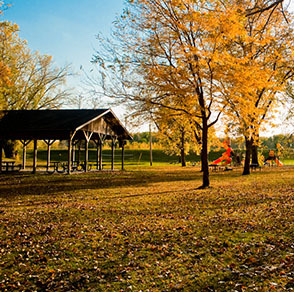 Nestled in the bluffside just past Highway 61, Woodlawn offers picturesque views and incredible stories.